Got some wrinkles in your tie? Maybe your tuxedo vest? Save time and money by smoothing out your appearance at home in a few simple steps. With just a couple of handy tools, you can remove wrinkles and keep your dress clothes looking like they just got back from the cleaners. An iron, a press cloth and padded ironing board are all you need. If you have the time, allowing the items to hang before taking an iron to them may do the trick and help avoid the stress the heat of an iron can place on the clothing. So let's start with the ties. An ounce of prevention… you've heard it before. First, don't tie your knot too tightly. It's possible to achieve that tight-looking knot without it actually being really tight. Second, as soon as you gently loosen and remove your tie, hang it or roll it immediately, smoothing out as many wrinkles as you can. Slight wrinkles will often disappear with several hours of rest. 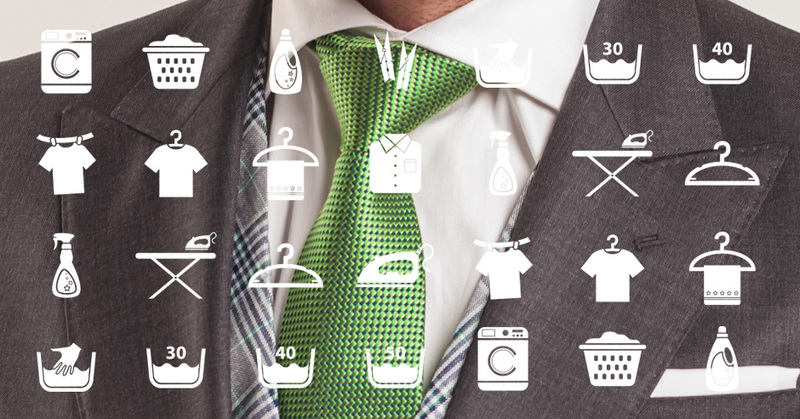 If you must take an iron to the tie, it's crucial to use a low heat setting. If your tie is polyester or silk, use the silk setting on your iron (about 275 degrees). If the tie is wool, a temperature of up to 300 degrees is acceptable. A temperature higher than this will cause the tie to lose its volume, even though the wrinkles may be gone. Using the press cloth or another non-textured cloth, press only the areas on the tie that have wrinkles. Remember to press, not iron (imagine you're working on an egg). Slight pressure on the wrinkles will be ample to remove unwanted creases. By focusing on the wrinkles and not the entire tie, you'll not have to worry about creating new impressions or creases in unwanted places. To iron your vest, use the same settings as for the tie, depending on the fabric of the vest. Use the press cloth on the fabric and apply slight pressure to the wrinkled areas. You may find it useful to use a sleeve board around the arm openings. A sleeve board is also useful if you find your jacket needs a quick going-over, too. Never use steam on either garment. You may end up stretching or shrinking some or all of the garment. A dry, low-temperature iron, a little patience, and some practice are all you need to keep your dress vests and ties looking their best without a trip to the dry-cleaners. A regular series of fun and informative articles focused on formal wear fashions and culture.